News 12 records the Nathaniel Woodhull Fifth Grade Band performing “Dance of the Reed Flutes” by Tchaikovsky. 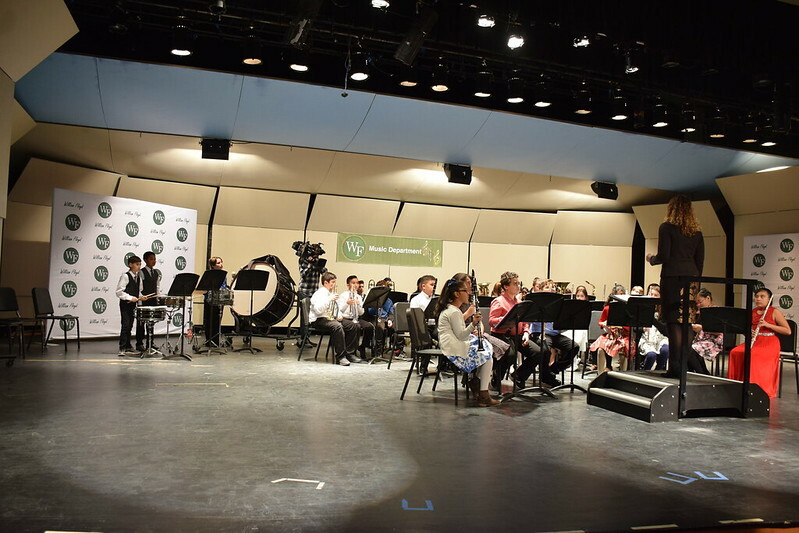 The Nathaniel Woodhull Elementary School 5th Grade Band under the direction of Sharon Kitzis will be featured on the News 12 Long Island “Sounds of the Season” this Friday, December 21, throughout the day! Be sure to tune in or set your DVR to catch the talented group perform “Dance of the Reed Flutes” by Tchaikovsky arranged by Michael Story from “The Nutcracker Suite.” If you miss it, don’t fret, you can catch it online beginning Friday! Click here to see previous coverage of this exciting event! Please see additional photos of News 12 videographer recording the students!